Pinker being oppressed yet again by the elites. Although Claire Lehmann (watch her videos on the Youtube channel for alt-right Rebel Media here) and Bo Winegard have been making my ongoing series about the evo-psycho bros all about them, it's important to remember that what this is really about is exploring the connections between Steven Pinker and the alt-right. I've been doing it for just about a month now and although I already had some idea of the connections, I learned a lot more. Steven Pinker published alt-right racist Steve Sailer in a collection of "the best" of science writing in 2004. Granted "alt-right" wasn't a term in 2004, so technically Sailer was a far-right racist then but he's alt-right now. I spent a couple of bucks to get a second-hand copy of the book and actually read "The Cousin Marriage Conundrum" and it is terrible as I explain here. If that was considered the best of science and nature writing that year then 2004 was really bad. When a New Yorker review harshly criticized (read it here) Pinker's The Better Angels of our Nature because Pinker is an incoherent thinker (yeah I know all you Quillette readers think he's a genius) Pinker immediately went to Razib "fired from the NYT for being racist" Khan for support. In addition to Pinker's direct connection to the alt-right via Sailer, Pinker also frequently praises the work of people who appear with alt-right Stefan Molyneux to whine about how they're being oppressed by people who call them racists, like Brian Boutwell. 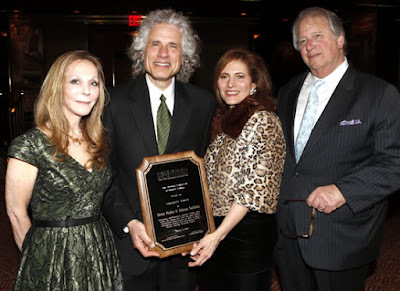 And Pinker praises the work of proponents of "human biodiversity" like Boutwell and the Winegard brothers. Although it's actually the hypocrisy of Pinker's statements about race and criminality on the PC video that I find most interesting and I haven't gotten to that just yet. 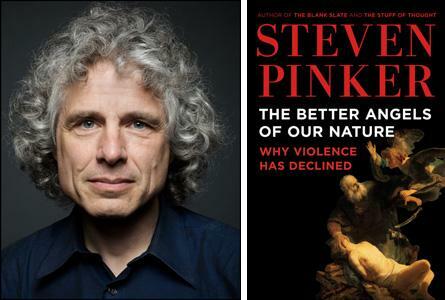 Perhaps Pinker's books will provide more insight.